Police are appealing for witnesses to a crash which left a 66-year-old woman with serious injuries. Emergency services were called to Blatchington Road, Seaford at around 9pm yesterday (Thursday, October 22) after reports of a head-on collision between a Nissan pick-up truck and a Ford Fiesta. The driver of the Ford Fiesta had to be cut free from her vehicle by firefighters and was taken to hospital with serious but not life-threatening injuries. She remains in hospital with multiple fractures. 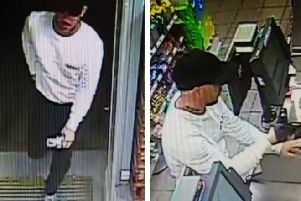 Police are appealing for any witnesses to the incident to contact the case officer PC Gavin Spencer of the Roads Policing Department at Polegate by calling 101 quoting reference 1414 of the 22/10/2015.